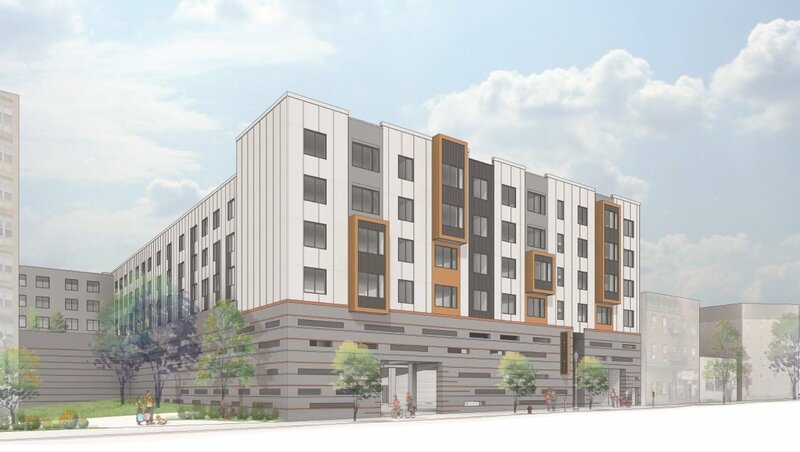 Four-Story, 32-Unit Mixed-Use Building Approved at 515 32nd Street, Union City, N.J. 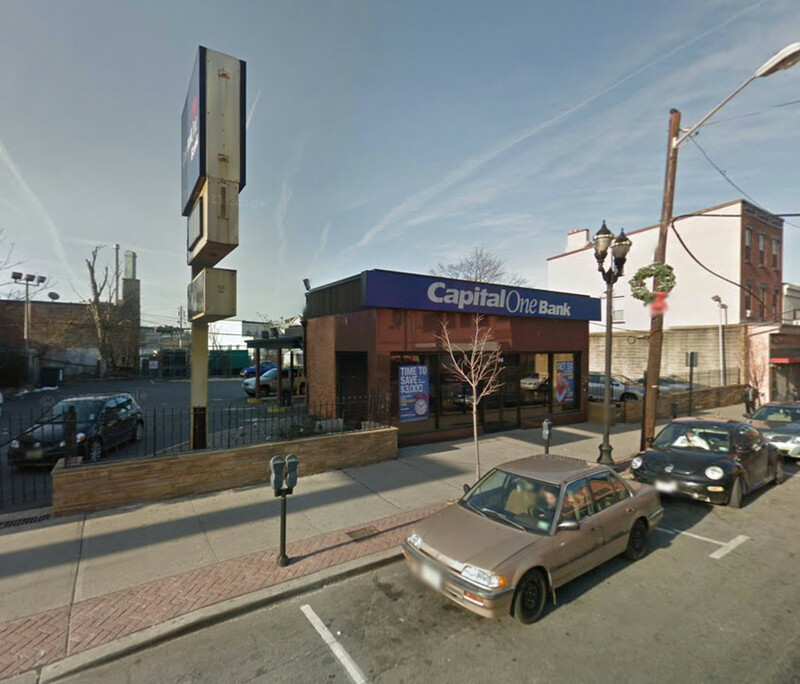 In late October, the Union City planning board approved plans for a four-story, 32-unit mixed-use building at 511-519 32nd Street, located in central Union City, in Hudson County, New Jersey. The project will feature four ground-floor commercial-retail units, in addition to 35 off-street parking spaces. Crest Point Development, which acquired the site a year ago for $1.425 million, is the developer, Jersey Digs reported. The 21,500-square-foot property is currently occupied by a small, single-story bank. A construction timeline has not been revealed. Three-Story, 340,000-Square-Foot High Tech High School Rises in Secaucus, N.J.
Steel is rising into place on the three-story, 340,000-square-foot High Tech High School under construction at the end of Paul Amico Way, located in Laurel Hill Park, in southern Secaucus, New Jersey. The new vocational school will boast four academies, including performing arts, applied sciences, culinary arts, and architecture and engineering, the Jersey Journal reported. There will also be a cafeteria, a 350-seat theater, and a parking garage, according to Real Estate Weekly. 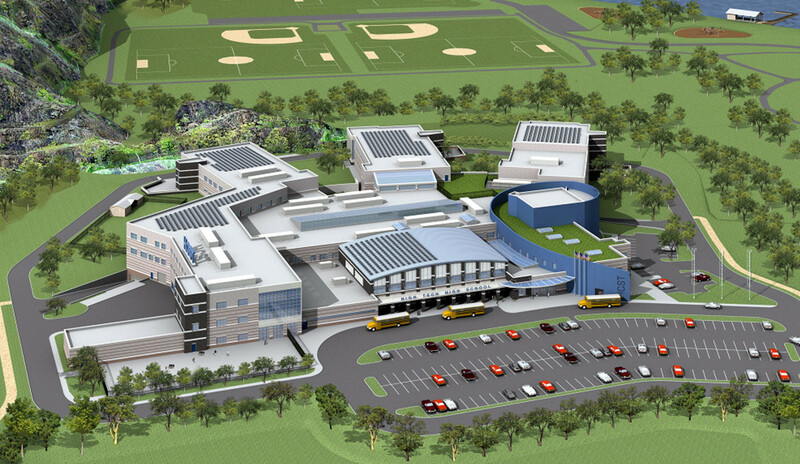 The Hudson County Improvement Authority and the Hudson County Schools of Technology are the developers. DMR Architects is the design architect, while RSC Architects is serving as the executive architect. Opening is expected in September of 2018. Construction is close to kicking off on the six-story, 138-unit residential building planned at 18 East 21st Street, on the southern end of Bayonne. That’s in Hudson County, New Jersey. Dubbed 19 East, it will contain luxury rental apartments ranging from studios to two-bedrooms. Amenities will include a fitness center, two rooftop terraces, a business center, and a 212-car parking garage on the bottom two floors. A plaza will be built on the plot’s frontage along Broadway. Ingerman Development Company is the developer. Completion is expected in early 2018, Jersey Digs reported. Much of the seven-parcel assemblage was vacant with the exception of a three-story apartment building, which has since been demolished. Renderings have surfaced for the six-story, 70-unit residential building planned at 222 Avenue E, located on the corner of East 21st Street on the southern end of Bayonne, New Jersey. That’s in Hudson County. The residential units, rental apartments, will range from one- to two-bedrooms, some of which will be duplexes. Amenities include the traditional list of luxuries, like a rooftop terrace, a fitness center, a community lounge, and a 72-car parking garage. 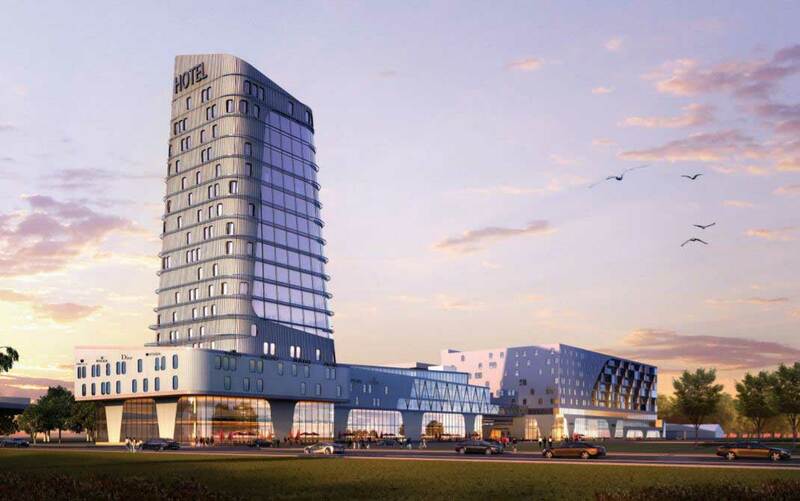 Passaic, N.J.-based Madison Hill Properties is the developer. The project was approved by city’s Planning Board this past summer and was also granted a 25-year tax abatement, Jersey Digs reported. Completion is expected in 2018. The vacant site is located across the street from the 22nd Street station on the Hudson-Bergen Light Rail.